We are turning the corner to Christmas and it still looks like Fall here in the Colorado high country. Glad I’m not in the ski business! On the summer front, we still have several openings for fishing and the lodge rental. 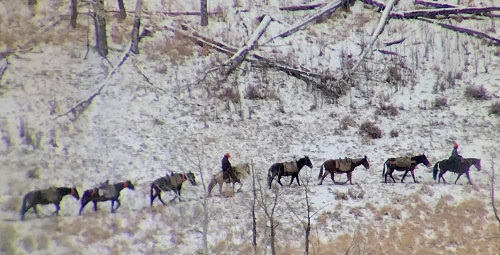 Our elk herd, post-hunt, looks to be the status quo of the last few years. Numbers well below what the habitat can sustain but with some nice bulls making it through the hunting season. 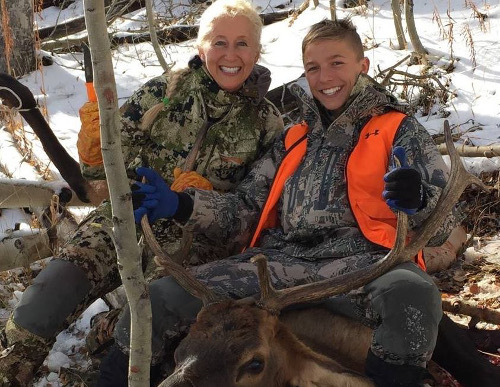 Across Colorado there is an echo among outfitters and experienced DIY hunters that we would all like to see more cows and calves on the winter range. This year we finally saw a move by the CPW to improve the herd’s productivity through large cow tag quota cuts. 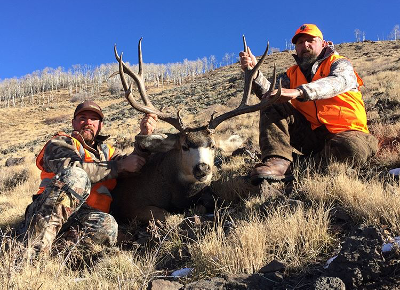 Our hunters were consistently into bulls throughout September, with the exception of the last week of archery season. The last week was tough with mild temperatures and elk going silent at the higher elevations. 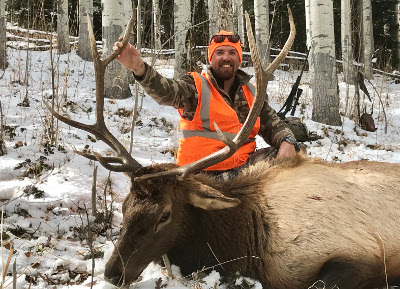 Rifle elk was steady, but never went gangbusters given a complete lack of measurable snow up until now, three weeks after 4th season closed. Our deer herd is at a high on both density and quality fronts. In addition to harvesting some great deer this year, we have seen many monster bucks that made it through the season. 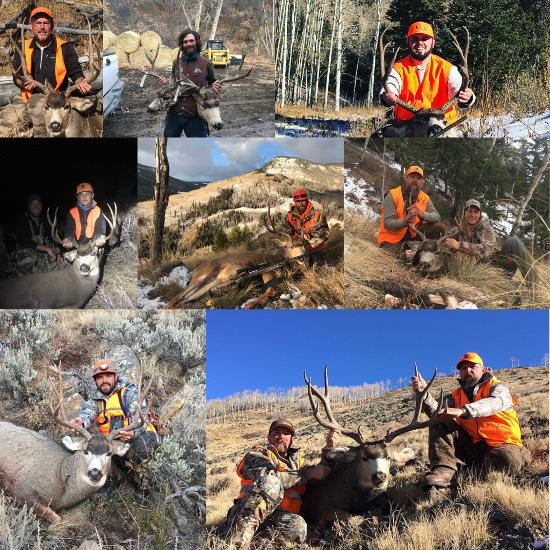 I worry that the pressure being put on bucks in November by the Colorado Parks and Wildlife Department combined with late season mountain lions is unsustainable, but for now our deer hunting is nothing short of world-class. 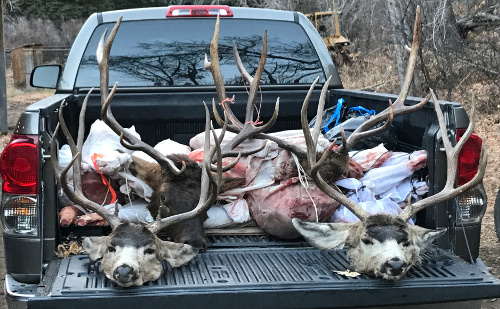 Our deer hunting was fair through early September and then shifted to outstanding by late October. The “green up” feed in the high country was short this year due to a cold/late spring. My opinion is that this pushed a lot of our bucks into new summer ranges, outside of our traditional hunting grounds. While guiding in early September the low density of bucks even made me ponder if we had had substantial winter kill that had gone unnoticed. Like clock work, when the late October migration started we had a huge influx of deer in our country. By the time the rut kicked in by 3rd rifle season, we were close to a 100% harvest on mature bucks. Bucks ranged from 150″ to above 200″. Many trophy caliber deer were taken. 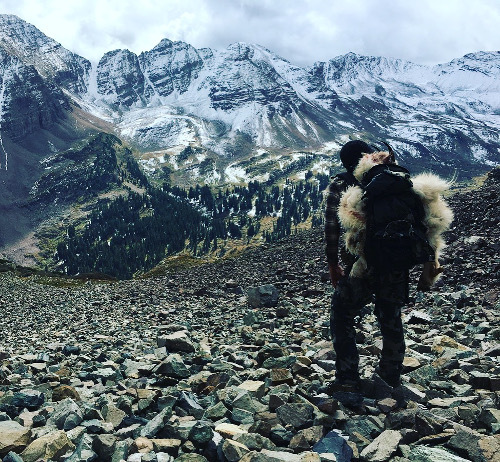 Checkout our previous report for info on our 2017 sheep/goat hunts. I encourage any hunters with significant preference points to reach out to me after the new Sheep/Goat Brochure comes out this winter. Myself and other sheep guides across the state are seeing some big shifts in unit quality the last few years.